• Central Park. You can start exploring New York through Central Park. This is designed by Frederick Law Olmsted and Calvert Vaux. This place houses 843 acres of lush green views with vibrant flora. The best way to check out all of Central Park would be through a bicycle and go solo touring the park. However, you may also book a 2 hour tour within the Park. You can go cycling within hilly terrains and visit the Conservatory Water, the Belvedere Castle, the Alice in Wonderland sculpture, and the Bow Bridge. If you want, you can simply chill out and enjoy a picnic at Central Park together with your loved ones. • Empire State Building. If you want to visit a place where tourists are abundant, the Empire State Building is the place to be. The Empire State Building is the tallest structure in New York. Moreover, this building is designed with stately deco architecture which rivals the Chrysler Building. You can enjoy splendid and breathtaking views from the 86th level observation area. If you want to avoid long lines, the best time to visit the area is around 8:30 AM or perhaps during lunch time or dinner time. The tickets to the place may be steep. However, the rate is worth it. The rates are around $22 for the adults and an extra $15 if you want to be at the 102nd observation floor. However, you can have an express pass at $45. • PS1 Contemporary Center. The PS1 is another home for modern masters aside from MoMA. PS1 is situated in a revamped public school. This place houses exciting works of art from the world’s famous and provocative artists. The place hosts an exceptional collection of modern artistic works and efforts. You can check out paintings and sculptures as well as films and architectures. With the diverse collections at this place, there is definitely something to see for everyone including children. • American Museum of Natural History. The American Museum of Natural History opened its doors to the public in the year 1869 and has grown and evolved through the years. This place houses the Rose Center Planetarium. This place is also home to some great permanent exhibits that you can enjoy with your loved ones. However, the place also offers something fresh and new to see every day since this place hosts a sequence of temporary exhibits. • Grand Central Terminal. 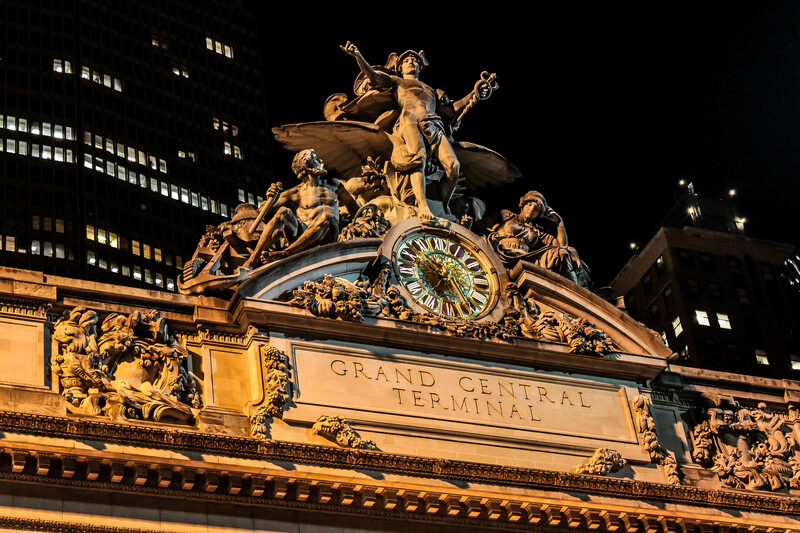 The Grand Central Terminal is definitely something you should not miss out when visiting New York. This place is considered a living and bustling temple, which illustrates New York’s rich history. You can view the celestial ceiling wall painting and enjoy some great meals at the Oyster Bar. You can also try the Whispering Gallery and enjoy the experience offered by the gourmet gastronomic market. These are only five of the various tourist attractions in New York. New York offers a lot more places and sites to see. You can even find a good New York accommodation if you decide to stay longer. So, if you are thinking of visiting New York anytime from now, make sure you add these places on your itinerary. You can go solo or bring your friends or your family in visiting such a great place. You surely will find this a worthwhile experience that you can cherish for the rest of your life. Anna Kec is a writer,editor and contributor for number of high-class business and marketing websites.Her vast knowledge and experience in event planning and marketing makes her a unique and indispensable addition to SavvySME team. Grand central terminal is amazing!! There's actually some areas of the station where you can face the wall and talk into the wall and the person that is standing on the other side of the walkway (facing the wall) can hear it no matter how soft you speak. Really interesting architecture! !